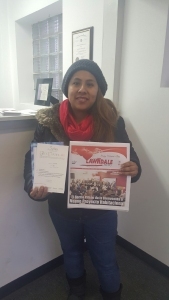 Lawndale Bilingual Newspaper would like to congratulate Lucero Garcia and Maria Ester Alcantar, who were the two lucky winners, among hundreds of participants, who won our first Valentine’s Day Contest Giveaway. 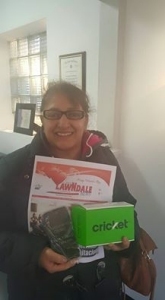 Lucero Garcia won a gift certificate to a romantic getaway courtesy of Sybaris and Maria Ester Alcantar won a Cricket Wireless phone. We would like to thank our partners Sybaris and Cricket Wireless. As well as, our readers who made this contest so successful.